PRAYER PROMPT ••• Every morning, I have a cup of coffee. I define coffee as a need. We say “need” a lot. And more often than not, it’s not a need as much as it is a want. My husband and I are both regular evaluators of “need” vs. “want” as part of our money management plan (thank you, Dave Ramsey). When we think about needs – we need air, water, shelter, food. We need clothing, but we want designer clothing. We need a reliable car, but my plain little Honda Fit gets me to work everyday, just as well as an expensive sports car. To all this, I guess you could say my need for coffee is technically a want, since I don’t have to have it for survival. It’s more about other people’s survival. I want coffee every day, but I don’t need it. That’s a pretty simplistic overview of our physical needs, but y’all are smart people. You don’t need me to elaborate further on this. Let’s move on to needs of the heart. The biggest need we have as people is the need to feel fulfilled. We talk about needing to be fulfilled and then wonders why we come out slightly dissatisfied. We seek out people we think will make us happy. We surround ourselves with things and go into debt to feel good about ourselves. All of it boils down to cheap imitations of fulfillment. But only true fulfillment comes from Jesus Christ. He is the only one who can fill those empty places. God’s got all this covered! 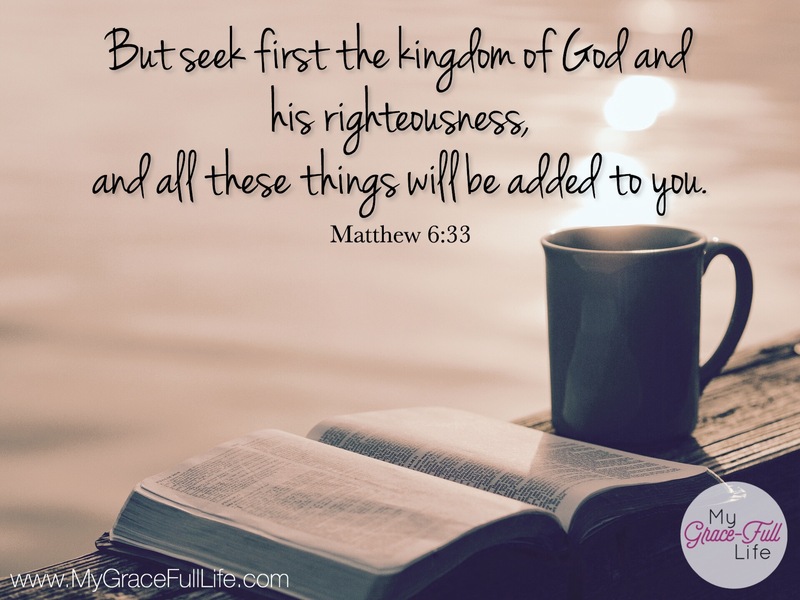 When we seek God and lean on Jesus for our fulfillment, all our needs are taken care of. God will provide when we surrender our wants and trust in Him. Today, as you pray, thank Jesus for being the only need you really have. Thank God for taking care of you, and ask the Holy Spirit to help you focus on the truest need – your relationship with Jesus. Above all other needs or wants. This post makes me smile from ear to ear! Yes and yes again!